Michael Joesten is an organizational change consultant, executive coach and Master Mind Group facilitator. As a coach, Michael leverages his unique business background to help small business owners, executives and entrepreneurs achieve meaningful change through facilitation in a range of areas – from developing mentoring and motivational skills to improving team building and planning skills. The Founder and Principle of Joesten Change Management, Michael brings decades of experience applying success principles both to his own business ventures and those of his clients. Michael brings a notable background as a boot strap, serial entrepreneur – with lessons learned from both remarkable successes and setbacks. By drawing on his wide-ranging experiences in the trenches, Michael possesses a singular capacity to understand and relate to the full spectrum of entrepreneurship – coaching his clients and facilitating groups through the ups and downs of business but always toward positive change and actionable solutions. For growth-minded business owners and entrepreneurs who are willing to take honest feedback and make tough decisions, Michael has proven to be a transformational facilitator and business coach. He attributes this success both to his unique background and to his unwavering commitment to support, challenge and hold accountable those truly ready to take their business to the next level. A longtime resident of the Chicagoland area, Michael holds a BA in Communications from Valparaiso University. 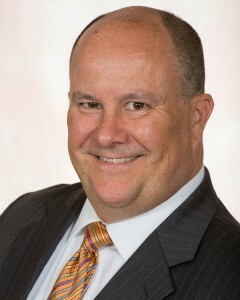 Prior to his work with Joesten Change Management and the Proactive Structural Change Institute, Michael was the owner of CT Works Deep Dish Pizza Co and, before that, the Secretary Treasurer of Belisima, Inc, a gift accessory business that grew into a multimillion dollar company within two years. Michael has extensively studied and applied the works of Napoleon Hill, Les Brown, Zig Ziglar, Tom Hopkins, John Sandler, and Price Pritchett. Michael has been personally mentored by success leaders Bob Proctor and Tim Shurr.